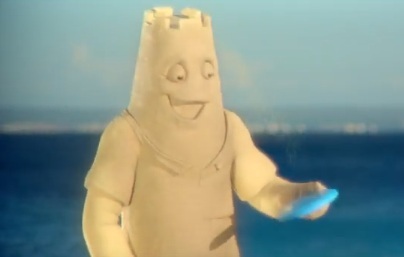 UK-based travel retailer On the Beach, specialising in short and medium haul holidays to Europe, has launched a new TV ad, described as “upbeat, fun, and all about the beach”. The spot features a sand man, with his head in the shape of a sand castle, spending time with tourists at the beach and entertaining kids, while in the background the 1969 single “I Found Sunshine” by American soul group The Chi-Lites, from their debut album, “Give It Away”, is heard. “Beach Holiday your way!” – the voiceover says, urging viewers to visit the company’s website and choose from thousands of flights and hotels, and mentioning that they have the possibility to spread the cost to till two weeks before they fly. Finally, he says the tagline “Let’s Get You To The Beach”.